Don’t drive aggressively-Aggressive drivers use more fuel. By driving moderately, an average savings of 31 percent is possible. Avoiding jackrabbit starts and braking hard can help retain your fuel and potentially save you money. We know you’re in a hurry, but with fuel prices rising it’s not worth the unnecessary fuel intake. Try getting up earlier (easier said than done), and with easy braking and moderate acceleration you can avoid being the aggressive driver and save on fuel. 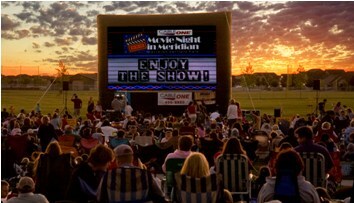 CableONE Movie Night in Meridian is back for a 6th season at Meridian’s Settlers Park! Bring out the whole family every Friday in June, July and August and take in a family-friendly movie starting at dusk on a huge inflatable movie screen. As always, these events are FREE to all! Make sure you arrive early to save your spot and to participate in the fun and games too! Depending on the night, there may be activities before the movie ranging from a Jiu-Jitsu demonstration to bounce houses for the kids to dart gun games. Plus, several food options will be available on Friday nights. In addition to the snow cones, candy, popcorn, and more that’s available at the concessions stand, Dippin Donuts, Kim’s Homemade Caramel Corn, and Pizza Hut will all be set up around the seating area so make it dinner and a movie at the park! The movie schedule is listed below, but you can also visit the program’s website at www.meridiancity.org/movienight to view ratings and movie descriptions. If you have any other questions, please feel to contact Meridian Parks and Recreation at recreation@meridiancity.org or 888-3579. See you at the show! Breathe Clean Air For Healthy Living! Our lungs breathe in between 2,100 and 2,400 gallons of air per day. Make that 2,000 gallons of polluted and contaminated air and we wouldn’t be around for long. Being in such close proximity in a vehicle, contaminated air finds its way into your lungs easily and at a greater concentration. Vehicle manufacturers came to this realization and have in the past few years implemented cabin air filters into most vehicles. Since this concept is fairly new, some people are not aware of cabin air filters or their purpose. Cabin air filters are a high particulate filtration mechanism that is attached to the outside air intake of some vehicle’s ventilation systems. They help keep the air you breathe clean and prevent pollution from circulating in your car and have become an important component of your car’s ventilation system. It is not uncommon to see cars with the original filter because drivers are unaware that they need to be changed. The filters are usually extremely dirty because they have been used for years, causing a decline in efficiency and the contaminated cabin air is no longer being filtered out properly. Dirty cabin air filters cause the car to work harder, the air conditioning to run less efficiently and the airflow to the cabin will be lower than when the cabin air filter was clean. It is recommended that you have your cabin air filter changed every 12,000 to 15,000 miles or once a year, whichever comes first. However, if you tend to drive down a lot of dirt and gravel roads, you may want to have it changed more frequently. 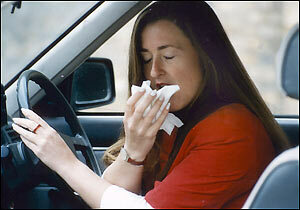 Allergy sufferers should consider changing theirs more often than what is recommended to help reduce the number of allergens in their car. The cabin air filter will trap common pollutants from the air entering your cabin, such as pollen, dirt, leaves, and mold. You can find out if your car has a cabin air filter by referring to your owners manual, and it if does, make sure to ask your technician to check the cabin air filter and change it regularly. You may be surprised to find out you are driving around with one that is original to the car, and there’s no telling how dirty it may be or what surprises you may find hidden inside! The above article was written by Katie Schlosser and was published in the Summer 2012 edition of Vehicle MD. O’ Connor Painting just painted our Fairview store and went above and beyond all expectations! They were prompt, professional, and did top notch work. We have never been so impressed by any other service company. Using them was nothing short of genius! 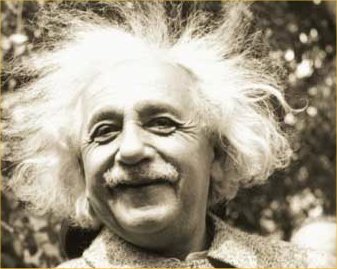 Be the first to tweet the correct answer to @einsteinsoilery and get a FREE ‘Nobel’ Full Service Oil Change! Airbags deploy at what speed when triggered? Good luck! Eagle Road Location Coming Soon! Its official! Ground has been broken on Einstein’s new location on Eagle Road! 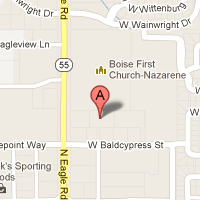 The site is located just north of Ustick behind Home Federal Bank and the new Taco Bell. The grand opening is scheduled for early August!